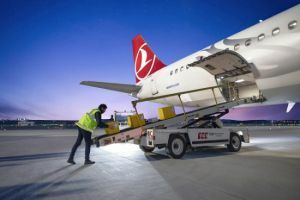 Turkish Cargo has moved the first freight from the new Istanbul Airport – to Ankara and the Turkish Republic of Northern Cyprus. A 321 Airbus from the new airport landed in Ankara on 4 February and the first international transportation was carried out to Lefkoşa (Nicosia) on the same day with a Boeing 737 aircraft. The new airport is expected to transform Turkey into a major logistics hub with a cargo capacity of 6 million tons.